Horwich is covered in a blanket of snow this weekend… and so is the Crunch! I’ve been plotting this for some time now, but for some reason hadn’t got round to it until today. Milkybar is by far my favourite chocolate of all time, so I was certain that the combo of white chocolate and Crunch was a winner. Bit of a confession… I ate a lot of the Milkybar chocolate I bought beforehand. Had to check it wasn’t poisonous. 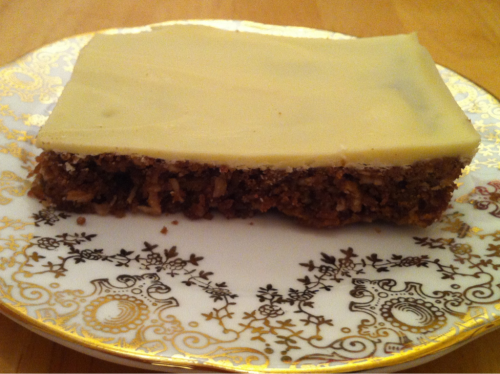 I made it using the recipe on my blog, but replaced the Dairy Milk with 2.5 large bars of Milkybar.